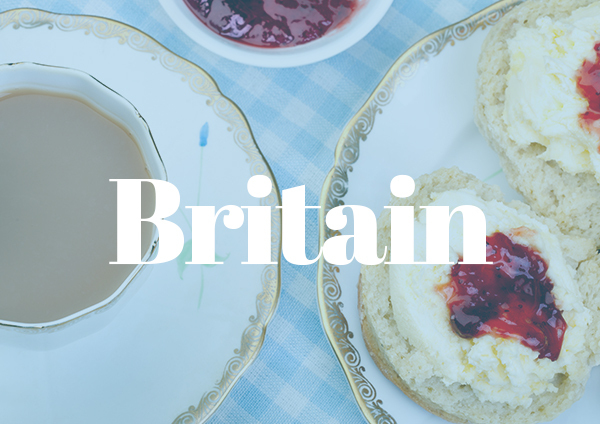 Tea was first introduced to Britain in the 17th century, and it was initially exclusive to gentlemen of the upper classes, and was only sold in coffee houses. This was in no small part due to the high price to import tea leaves. Eventually, tea houses began to open due to the popularity of tea, and these spaces were for both men and women – although these were still only open and available to the richer members of society. Initially tea was only available to those of high social standing, just as was the case in Europe. Eventually, tea became widely available to all of China. 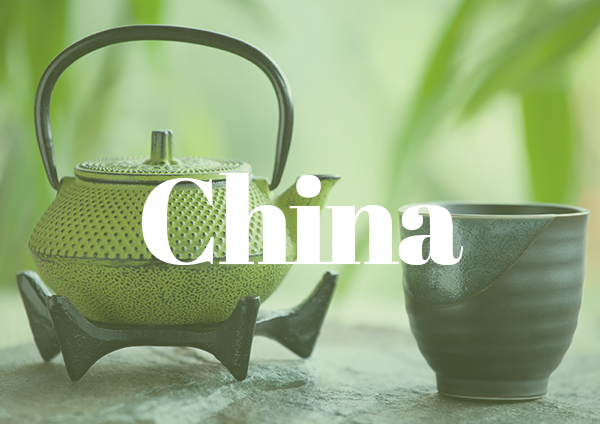 At the start of the Ming Dynasty, teahouses began to open and would serve tea at all times of day, so the notion of afternoon tea remained a purely western concept. Some of her companions partook in this afternoon tea break, and its popularity soon spread through the British upper class. Eventually, the middle and lower classes would emulate the aristocracy and be charmed by the long tea break, as tea was often accompanied by small snack food. Queen Victoria was a famous fan of afternoon tea, and enjoyed the addition of a lemon in her beverage alongside cake and jam. During the 19th century, aristocracy were akin to celebrities and anything that Queen Victoria practised, millions of others copied. Across the East and the African continent, tea is adapted to be more suited to the warmer climate and to suit local palettes. 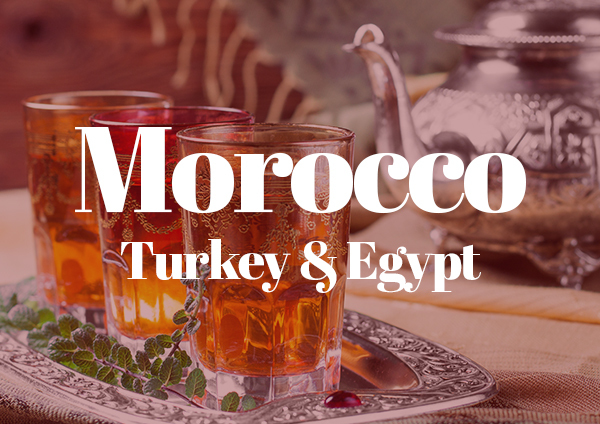 In Morocco, Turkey and Egypt, the most common way to take tea is with a large amount of sugar and fresh mint. This tea is often also taken in tall silver glasses, more akin to the tumbler style glass asopposed to the European tea cup. 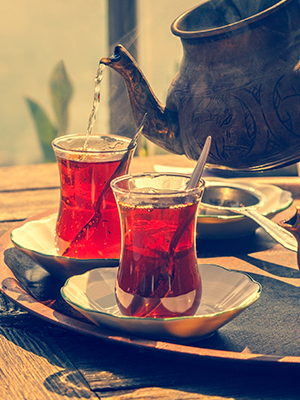 It is seen as a patriarchal benefit to prepare the tea for others, as it is the highest honour within thehousehold. 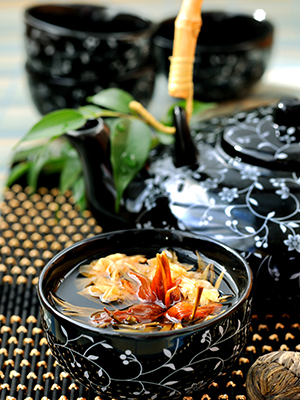 In China, tea is not only an ancient tradition but is also considered medicinal. Although some teas are prescribed for specific illnesses and ailments, tea is treat and consumed as a general aid to health in an overall sense. Gong Fu is a type of tea ceremony practised in China, it has many similarities with other tea ceremonies of the Far East. During this ceremony, a tea master prepares tea for a group of people, and their skill in tea making is considered artistry. 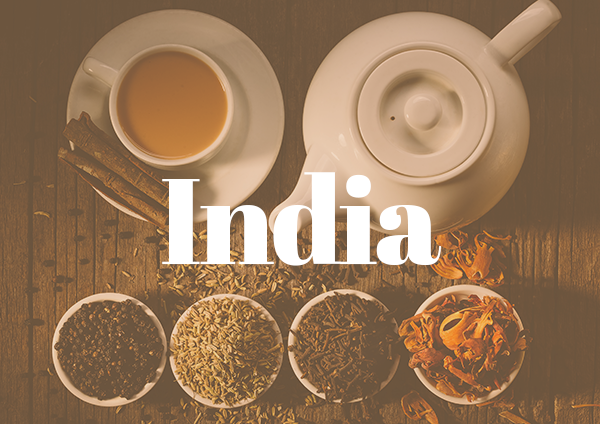 Tea became popular in India after the British Colonisation of the continent in the 19th century, where large plantations were created to meet the soaring demand for tea within Britain. 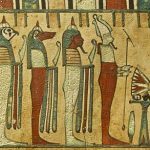 This relatively recent introduction to tea, much like most of Europe, has meant that India does not have any of the ancient tea taking rituals that are common in the Far East and Asia. In India, the traditional tea that is served is called Cha-ya. This black tea is spiced with cardamom, cloves and fennel, then served with sugar and milk. This is known worldwide as Chai tea, and it is widely available in India from street vendors and cafes. 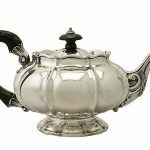 There are numerous types and styles of silver teapots that have developed over the last three centuries. The most popular of all evolving from a simplistic container, spout and handle form with features and decoration added to suit the era and the pervading the fashion of that time. Georgian teapots vary depending on the specific phase of the era in which they were created. For example, a George I teapot is far more simple and features less decoration than a George II or George III teapot. Teapots from the Georgian era usually feature plain surfaces, with cylindrical or geometric body shapes, and are fairly basic in form. 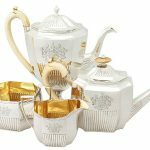 Louis style teapots are named after the infamous King Louis XIII of France, whose lavish and overt taste and style in all things – from clothing to decoration – was reflected in the Baroque and Rococo styles of silverware. 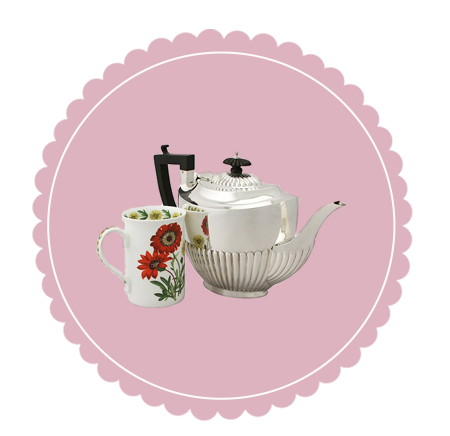 Louis teapots often feature a rounded form, giving them an almost spherical shape. 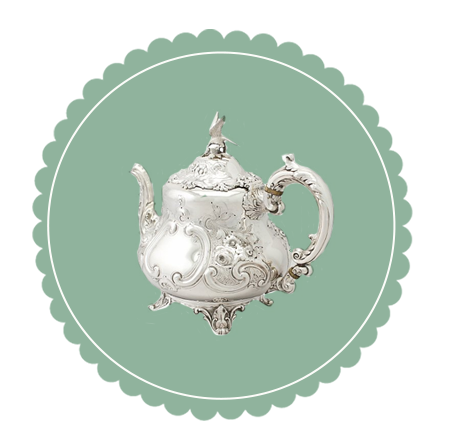 The Louis style teapot was especially popular during the Victorian era, when heavy ornamentation and decoration was very much in fashion. The embellishment on Louis teapots is in direct contrast to Georgian teapots, which were comparatively basic and plain, with little decoration or embellishment. 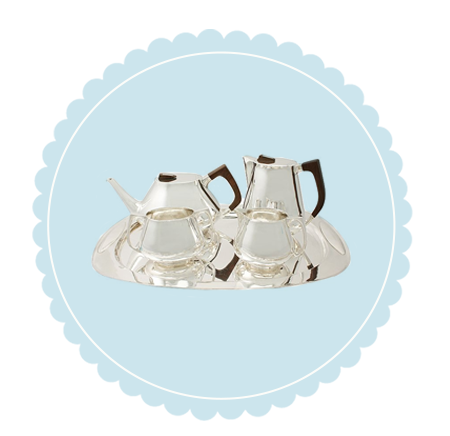 The Queen Anne style is a very specific type of teapot which was popular during the late Victorian and Edwardian era. 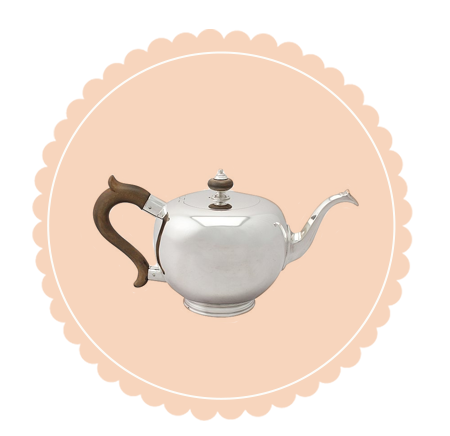 The Queen Anne style continues to be reproduced, and is frequently in vogue, although the teapot’s namesake Queen Anne actually reigned in the early 18th century. The most notable feature of the Queen Anne teapot is the embossed fluting which typically surrounds the base of the teapot, and draws the eye vertically, attracting attention to the height of the teapot. 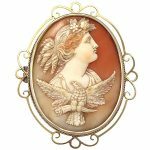 The Art Deco style is generally the most popular style of silverware, and is therefore the most frequently reproduced, being continually in fashion and in high demand. 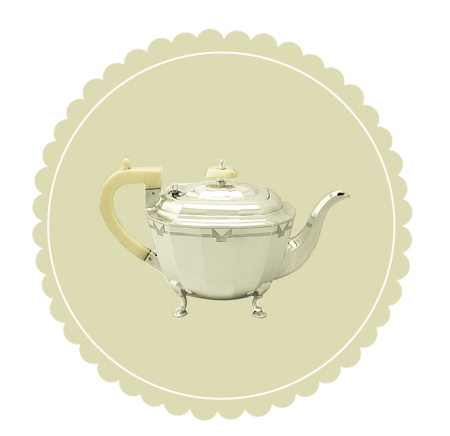 Many teapots which were created after the Art Deco period were created in this style. 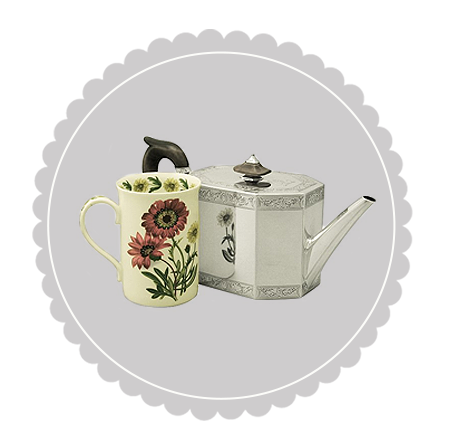 Art Deco teapots are an easy style to distinguish, as they often feature panelling and geometric shapes. Design teapots are a variation of the Art Nouveau and Arts and Crafts style of silverware which emerged at the beginning of the Twentieth Century. This style loosely refers to the unusual and untraditional form of the body of the teapot and tea ware, as though it were completely redesigned and reimagined. 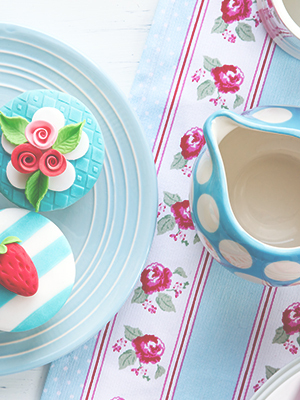 The most common property of vintage and contemporary teapots is that they are crafted in the style of another era! Many teapots in the twentieth century are created in a popular, classic style, most of which- such as the Georgian or Art Deco style- are considered classic and timeless, and match easily with other items of silverware in the home. 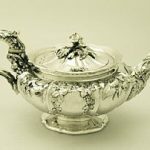 We hope that we have been able to shed a little light on the long history of silver teapots, and how they’ve changed in design and style over time, and how tea drinking traditions vary across the globe! Previous Entry: What is a Promise Ring?